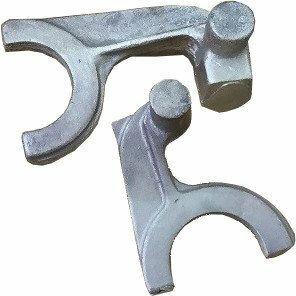 Majorfax manufacture aluminium bronze selector forks for Brineton Engineering to be fitted to the gearboxes of classic cars. Brineton Engineering, founded in 1966, is an engineering specialist which manufactures precision engineering components in small and medium quantities and has a history of producing parts for a range of iconic classic cars. The organisation came to Majorfax to cast a number of selector forks in aluminium bronze. Our engineers utilised loose wooden patterns to produce the sand moulds which would then be used to cast the aluminium bronze parts. Once the mould was formed, our specialists proceeded to manufacture the parts in grade AB2 within short lead times. Thorough quality checks then took place to ensure that the selector forks were manufactured to Brineton’s exact design requirements. John Hughes, Sales Director at Majorfax said “It is fitting that Majorfax have used the same traditional casting methods that would have been used almost 100 years ago when these cars were originally produced”. For more information, please contact Ranvir Gill, Sales & Marketing Co-ordinator on: ranvir@majorfax.co.uk.